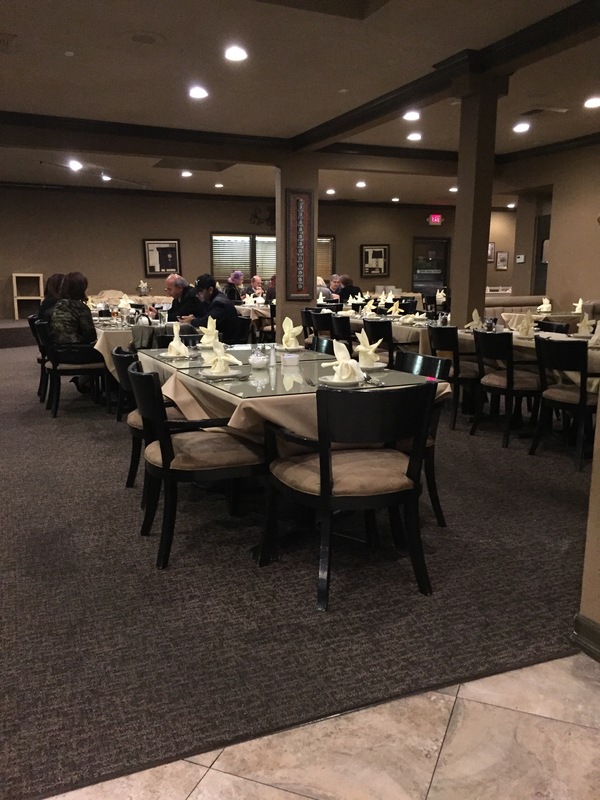 Orange County has no shortage of Middle Eastern or Persian cuisine, especially in Anaheim and Irvine. 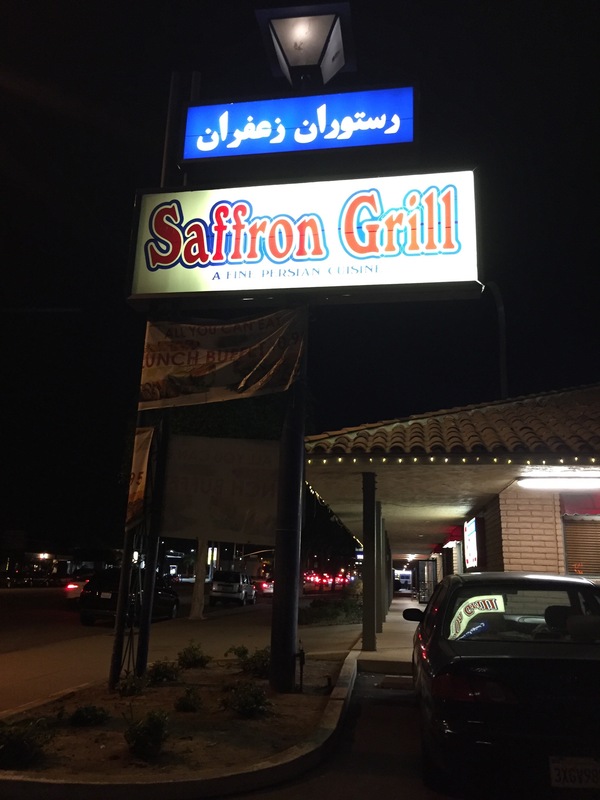 Located just down the street from the Honda Center (but in the city of Orange) is Saffron Grill, a Persian restaurant that has good food and, even better, affordable prices. Stephen and I decided to come here after a Sunday evening Anaheim Ducks game, and the restaurant was open until 9:30 pm. When we walked in, we found the place fairly empty, and no one there to greet us. After a while, we were finally seated and we were asked if we wanted something to drink. 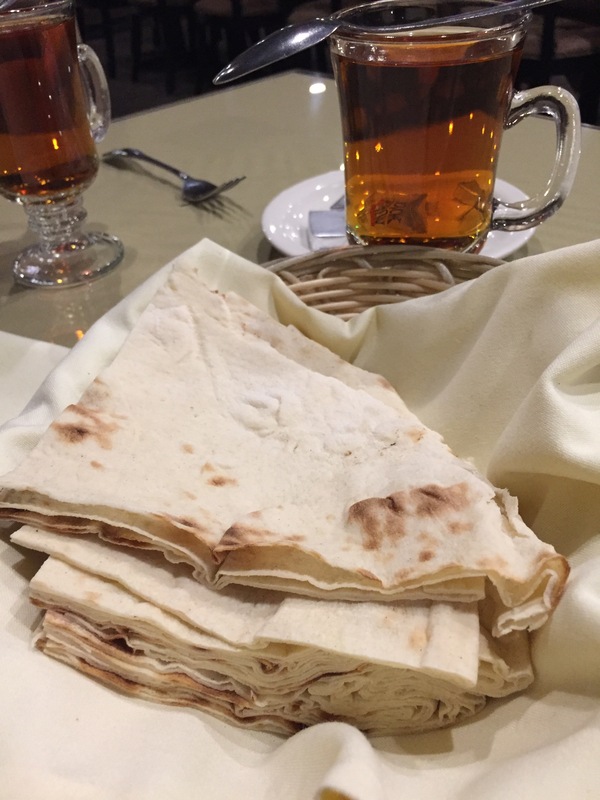 Our drink order quickly came out and a basket of hot lavash bread was placed on the table. 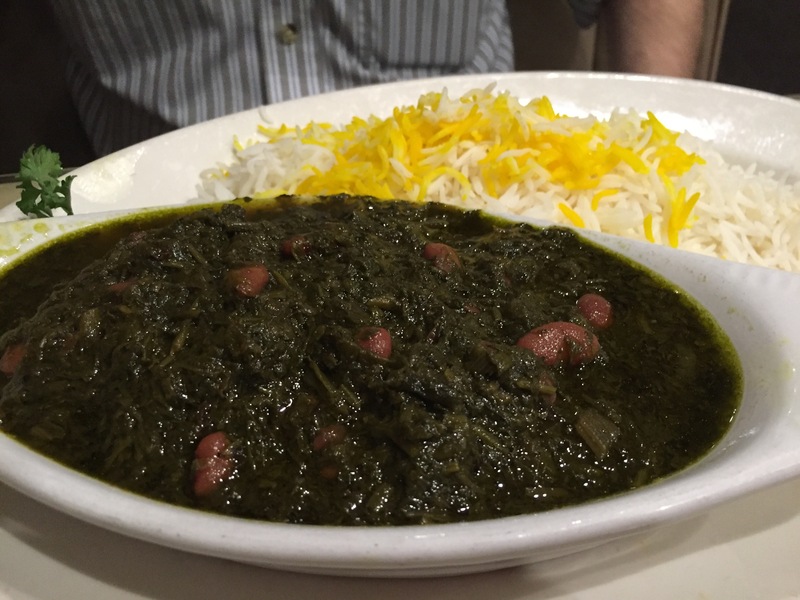 Stephen went with Persian comfort food: Ghormeh sabzi, which means Herb Stew in Persian. The main ingredients are a mixture of sauteed herbs, consisting mainly of parsley, leeks or green onions, coriander, seasoned with the key spice of dried fenugreek leaves. The herb mixture has many variations; any dark bitter green can be used like kale, mustard greens, turnip greens, etc. This mixture is cooked with kidney beans, yellow split-peas or black-eyed peas, yellow or red onions, black lime, and turmeric-seasoned lamb or beef. The dish is then served with basmati rice or tahdig, which is the crisp rice taken from the bottom of the pot. I chose the beef koobideh (or sometimes spelled koubideh) which refers to the style that meat was prepared. Originally meat was placed on a flat stone and smashed with a wooden mallet. It is cooked on a “Seekh” means skewer in Persian. 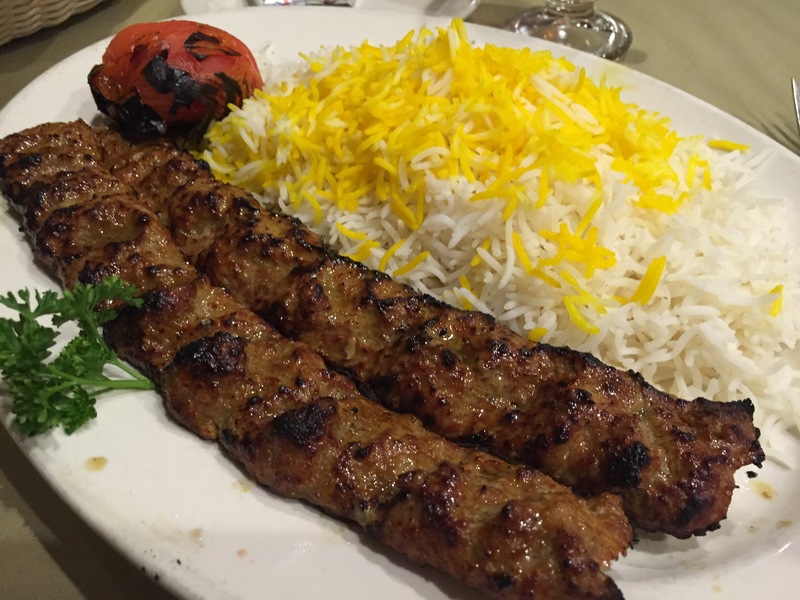 The koobideh was delicious, simply juicy and tender. The food outweighed the dismal service we initially had. We were very pleased with our meal, that we will probably come back after another Ducks game.